Have you ever wished that you were a puppy? Just think about it for a second. Puppers have the life! They get few 2-3 square meals a day, they’re a magnet for attention in any room they enter, and they have a cute fluffy fur coat. Everything they do is precious, even if they’re just staring vacantly at the wall with their tongue dangling out of their mouth. Unfortunately, you were born a human being, so the best you can do is download filters for your smartphone so you can take cute puppy photos of yourself… but what if we told you that you could turn that puppy dog filter into a reality outside of your phone? 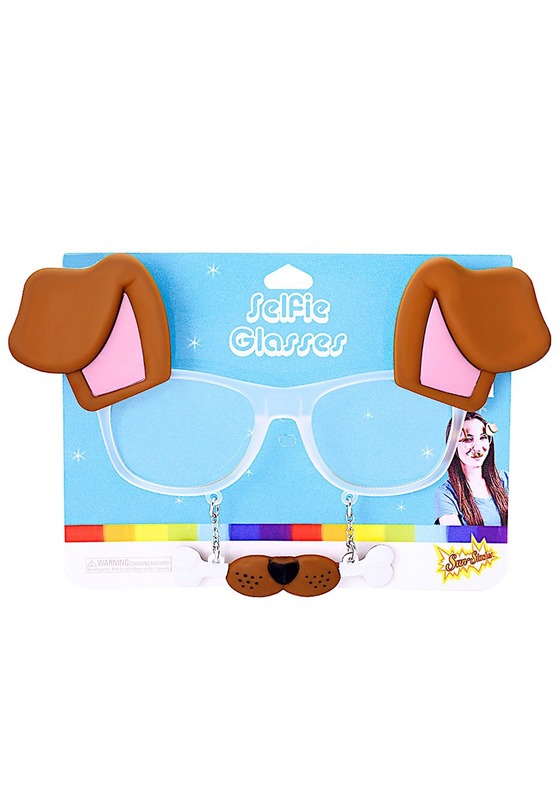 Well, that’s exactly what this pair of puppy dog selfie filter glasses does! And you don’t even need to download any sort of apps. You don’t have to use any filters. These Puppy Dog Filter Glasses are the latest in eyewear technology that actually gives you the coveted look of an adorable puppy dog. It’s simple. Just toss them on your face and you’ll instantly look like a photo filter. The clear frames have molded puppy dog ears on the top and a little doggy nose on the bottom.